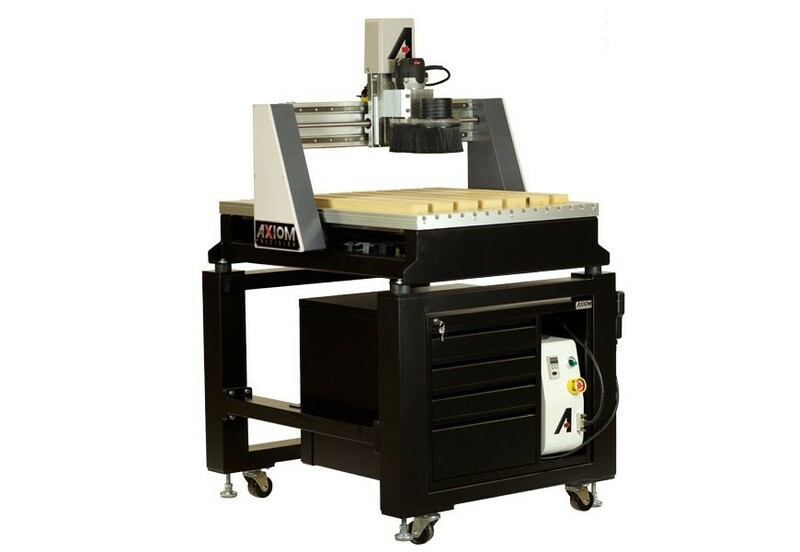 Our Axiom AutoRoute Basic series of CNC machines boasts truly advanced features that are typically found only on machines in industrial shops, but with a more consumer-friendly price tag. Axiom AutoRoute Basic Series CNC machines offer unparalleled performance, with with three footprint options, 24” x 24”, 24” x 36” and 24” x 48”. 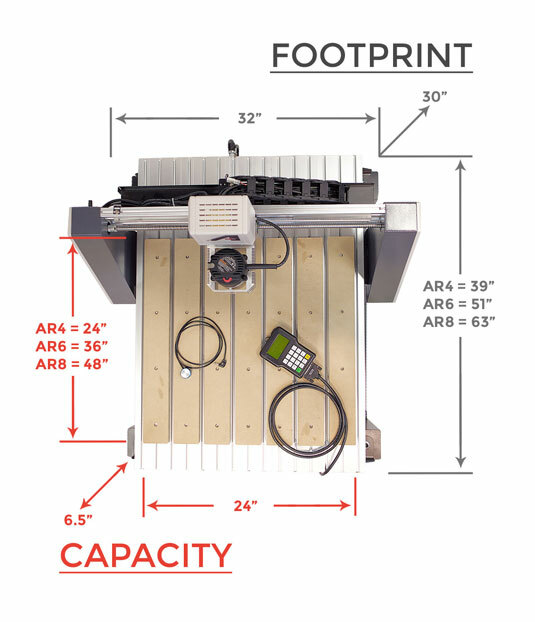 Each machine has a 6'' Z travel capacity, and a universal router mount that accepts a variety of common woodworking routers that you may already have in your shop. (list below). There is no need to attach your CNC router to your computer to operate it. Simply transfer your file to the hand-held controller via USB storage device. The hand-held RichAuto controller is a powerful, lightweight and easy to use controller with nearly a decade of proven results in demanding applications. 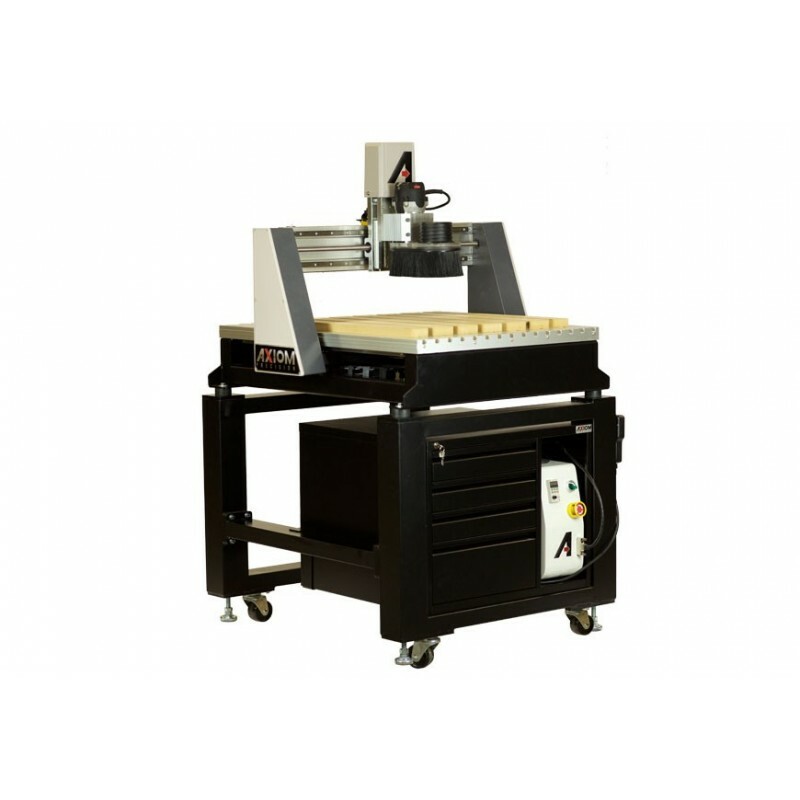 Every Axiom Precision AutoRoute Basic Series CNC machine offers precision ball screws, prismatic guides, a robust, rigid steel frame, and interlocking aluminum table. Additionally, the integrated MDF spoil board promises you the all precision you're looking for, since they can easily be milled flat for a true perpendicular surface to the spindle. •USB port for easy file transfer. Ok! I have had my AR4 Basic for almost a year now. I have not used it every day, but when it's running, it's running all day. My view on this machine is simple. For the money it costs for this machine, you will not find anything better anywhere! Consider that it is all metal all over. Heavy steel frame to hold everything. Quality connectors for the cables, super solid, no flex material bed. Every thing I cut on it is what you would expect it to be. Fit and finish is wonderful, and all the components seem to be very high quality. I purchased the Axiom stand and tool box as well. The stand has huge square tube steel legs, casters are super wide and allow the machine to roll quite easily. The tool box is also heavy gauge steel and drawers are smooth. I have recommended this machine to several people and have even invited them to stop over so I can show them the machine. I can't believe anyone has not reviewed this product before! I have had my machine for about 11 months now and love it. This machine is solid, there is no flex in X, Y or Z axis. Every cut is the same as every other cut. They are all dead on. Well built is a understatement for this machine. I also bought the stand and tool box. The stand is heavy duty enough to park your car on it. The tool box is also well built. Tech support is also very important to me and Chad has been fantastic. I have had this machine since Feb, 2017. All I can say is I am very happy with my purchase! This thing is built like a tank. Very heavy duty, solid, no flex in the gantry or Z axis. This machine is very precise with it's cuts. The machine is very heavy, especially the stand! This is probably the best bang for your buck you can find.